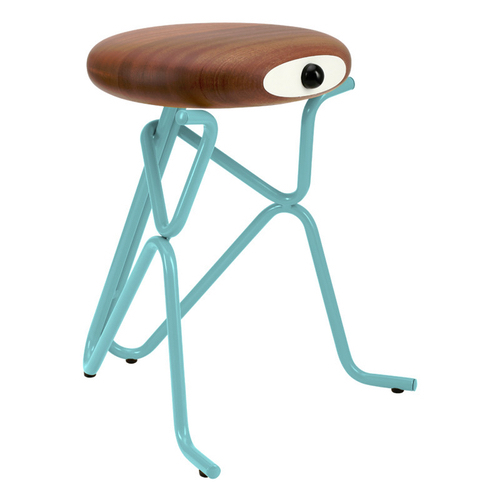 ​The solid wood seat is coated with an ultra matte, long lasting clear coating. The white part of the seat is painted and the black eye is turned of solid wood and painted. Measurements: width 38cm - depth 40cm - height 45.5cm.